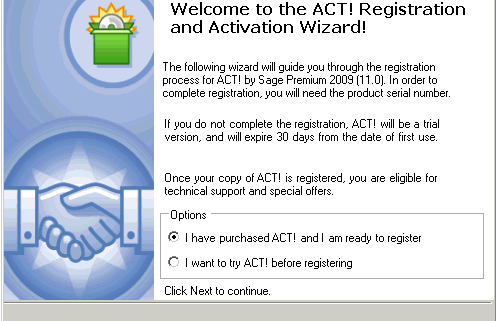 The first time that you launch ACT!, you will be asked to register ACT! and then activate the software. Enter the serial number that came with you software. The serial number can be found on the back of the CD case. Click Next and the Select Registration Method dialog box appears. Refer to the appropriate section below for your registration method. Enable the Register using the Internet option and click Next. The enter your information dialog box appears. Enter the registration information. You must enter data into the fields marked by an asterisk (*). When complete, click Next. The following Completing the ACT! 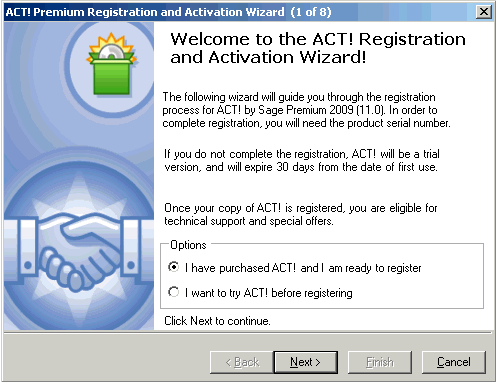 Premium Registration and Activation Wizard dialog box appears. Click Finish to complete the registration and activation process. The Welcome to the ACT! 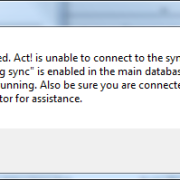 Setup Assistant dialog box appears. 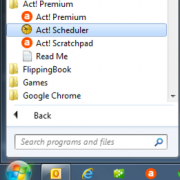 Tags: ACT!, ACT!v16, Register ACT! http://www.trilogycrm.com/wp-content/uploads/register-act-1.png 382 497 Robb Shirey http://www.trilogycrm.com/wp-content/uploads/TrilogyCRM_logo_color1.png Robb Shirey2013-10-03 14:22:532013-10-03 19:10:32Registering ACT! Is your database really backed up? I do too have enough disk space! Backing up ACT!